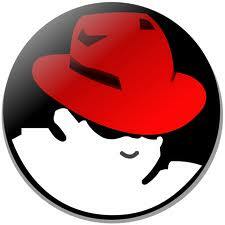 Somehow, giving away a Linux build for free might make Red Hat a boatload of cash. Back in the 1990s, open source software was met with derision from traditional boxed software companies like Microsoft or Adobe. How can you make any money by giving away your product to anyone who wants it? Well, apparently the model of giving away a software suite and charging only for support and infrastructure works quite well, especially in an economy where businesses and individuals must cut costs wherever possible. The Raleigh-based Linux provider, Red Hat, announced today that its latest quarter revenues exceeded $281 million and that it is poised to make a billion dollars this year. "Based on the strong first half results, we believe Red Hat remains well-positioned to finish fiscal 2012 as the first billion dollar open source software vendor," said Jim Whitehurst, head of Red Hat. The open-source movement has impacted gaming in a lot of ways and the success of Red Hat is yet another signal of what's to come. Wizards of the Coast - the makers of Dungeons & Dragon - made the bold move of giving away its D20 ruleset for free with the OSR to encourage innovations across the tabletop RPG landscape, subtly overtaking the market. Much of the backlash against the 4th Edtion of D&D was its repealing of the open platform that the OSR established in the 3.5 era. After offering such freedom, pulling back behind the restrictive GSL has fractured the tabletop market. The emergence of free to play MMOs owes a lot to the open source movement. Gamers are not always allowed to create content (although City of Heroes experimented with this idea) but giving a game away for free seems to be more profitable than charging for the service. Microtransations of convenience or cosmetic items are similar to Red Hat selling support and service for its Linux products; the consumer gets the chance to test the product and see its potential before paying fees to cater the experience to the consumer's wishes. And as everyone from SOE's John Smedley to Firefall's Mark Kern says, soon all MMOs will be free to play. Yes, gaming owes a lot to the open source movement. Now, if only Linux could play more games without a hack.